Diana Winery farm covers about 20 hectares of land in the municipality of Saracena. A territory crossed by many winds, which help create a dry habitat, ideal for production. 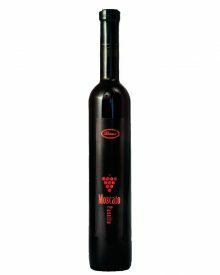 The company practices organic farming and produces Moscato di Saracena: a wine with a ruby red colour, intense and fragrant, with resinous notes that combine hints of dried figs, exotic fruits, almonds and honey. It also produces Mileo, a single variety red wine vinified with Lacrima grapes.